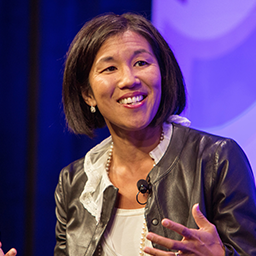 Nicole Wong is Deputy US Chief Technology Officer, advising on Internet policy and privacy. Prior to joining the Obama Administration, Nicole was the Legal Director at Twitter and Vice President and Deputy General Counsel at Google, primarily responsible for the company's product and regulatory matters. She is also a former partner at the law firm of Perkins Coie. Nicole is a frequent speaker and author on issues related to law and technology, including multiple appearances before the US Congress regarding Internet policy, censorship and privacy. She has taught media and Internet law and policy courses at the University of California at Berkeley, Stanford University and the University of San Francisco. She is a member of the advisory board to the Graduate School of Journalism at UC Berkeley and has served on the Governing Committee of the ABA Communication Law Forum and the Board of Directors of the First Amendment Coalition. Nicole received her law degree and a Master's degree in Journalism from the University of California at Berkeley, and her Bachelor of Art's degree from Georgetown University.